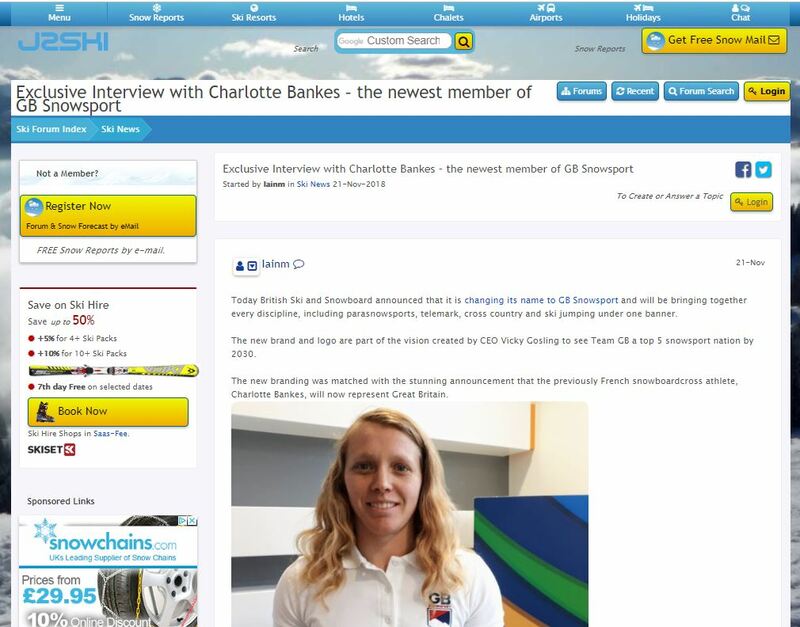 Iain from Skipedia recently had the opportunity to interview Charlotte Bankes – the newest member of Team GB. Bankes has British parents and recently left the French team to represent Great Britain in snowboard cross. Iain’s exclusive interview was published on J2Ski.com. You can also listen to an excerpt of the interview on Episode 25 of The Ski Podcast.